What if Teddy Goalsevelt was your employee? | don't bite the apple…work is not a fairy tale! ← Setting Goals in your Kingdom! What if Teddy Goalsevelt was your employee? 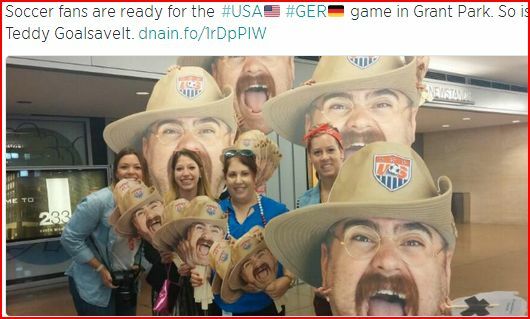 Once Upon a Time in a Brazilian rain forest an employee went on vacation and became an internet sensation… Did you see Teddy Goalsevelt during the World Cup? The world did and so did his company Cavalry. Mike D’Amico uses some of his vacation time following team USA. His plan was to see the first round of World Cup play. He wanted to stand out, so he came up with Teddy Goalsevelt. After ESPN spotted him, he became a selfie sensation all over Brazil. 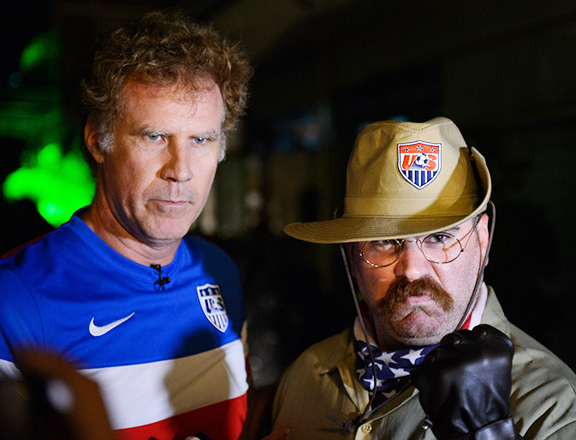 Will Ferrell got in on the action; Teddy even had his own hash tags #teddyinbrazil and #jointhecavalry. As World Cup fever was growing, so was his popularity. Teddy’s vacation time and funds were down and it was time to come home. But his bosses loved watching his adventure unfold and decided to figure out a way to keep him there. They set up a GoFundMe account and offered to match funds donated for his expenses up to $2,500. Over 106 people donated $5,600 to keep Teddy in Brazil. There was some backlash on the internet, people complained about donating to a cause like this one, but there was more positive input than not. The link was shared more than 1,700 times and #teddyinbrazil was trending. Arrangements were made for him to stay as long as Team USA was in the running. 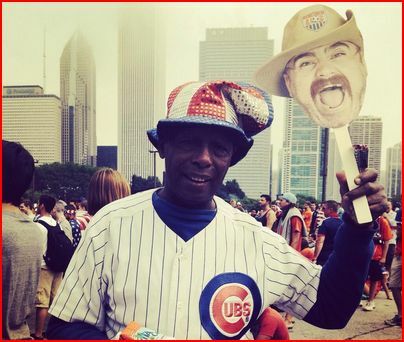 Mike’s employer Cavalry had giant pictures of his face made and gave them out in Chicago’s Grant Park for the viewing parties. Everyone was able to get a selfie with Teddy. Unfortunately Team USA was not able to defeat Team Belgium, so Teddy’s trip ended. Since Mike has returned to Chicago, he’s been all over the news and has been incredibly gracious about his trip and his employer. Cavalry decided that they would fund his entire trip and they are now donating all of the money raised to Gol De Letra, a nonprofit that helps underprivileged children in Brazil. Seventy percent of employees rate their relationship with their supervisor as very important to job satisfaction. I’m guessing Mike D’Amico is very satisfied. I bet the team at Cavalry is enjoying the ride and feel their employer cares about more than just work. My favorite selfie was Ronnie Woo Woo! It’s important for employees to see you value what they do outside their cubicle. Show them that you notice their interests, acknowledge birthdays or anniversaries and take note about where they are heading on vacation. You’ll never know…they may be the next Teddy! What steps do you take to build your team? This entry was posted in Motivation and tagged employees, FIFA, goals, human resources, leadership, motivation, vacation policy, WORLD CUP. Bookmark the permalink.